As gaming matures as a medium, it would be beneficial to developers and gamers alike to make an overarching, concerted effort to honor and preserve gaming classics, both the best selling and impactful all-timers and artistic efforts that might have fallen to the wayside. Here's one idea on how to do just that. In 1984, Robert Stein helped to found the Criterion Collection, a collective meant to publish educational multimedia and re-release film classics that deserved attention and acclaim. Some films were selected simply because they were instantly recognized as classics. Others earned the honor because they were in many ways equally as great but had been, for whatever reason, lost in the shuffle of time. With their efforts, the Criterion Collection pioneered the now-common "special edition" release that we see in gaming with "Game of the Year" editions, while managing to focus on both mainstream hits and obscure critical favorites. Four years ago, inspired by an excellent NeoGAF alternate covers page that featured gaming covers done in the traditionally-minimalistic Criterion style (called "The GAF Collection") and a few recent DVD viewings of films from the prestigious collection, I pulled together a list of 25 games I thought deserved to be released as the first entries in a Criterion Collection for video games. For a while, I called it just that - The Gaming Criterion Collection, or GCC. Recently, however, another name has come to mind: the Agency Group. In this case, I'm using the word "Agency" in the sense of "choice". Choice is the thing that separates video games from films, television shows, books, theater and music...player choice, player agency provides the interactivity that serves as the foundation of this artistic medium. For the actual selection committee/company, a group of gaming luminaries would be best for their combination of experience, influence and resources/money. People like Nolan Bushnell, Shigeru Miyamoto, Trip Hawkins, Hideo Kojima, Tim and Chris Stamper, Will Wright, Peter Molyneux, Gabe Newell, Suda 51, Sid Meier, Shinji Mikami, Toru Iwatani, Cliff Bleszinski etc. You're going to need a new developer for all of these ports...I'm sure they can find people willing to help preserve and celebrate some of the greatest games of all time. Here's the trickiest detail. These are the greatest games of all time. They're being collected for the purpose of appreciation, acknowledgment and one could even say education. So, in order to ensure that the greatest amount of gamers can enjoy these legendary titles, any Agency Collection release should be ported to all modern consoles and PC/Mac*. I realize that we're in transition right now, but let's assume this would take a few years to get off the ground, so for this discussion that would mean PS4, X1 and Wii U. This means, yes, that a Super Mario Bros title should be playable on a Sony or Microsoft console in addition to a Nintendo one. A Criterion release is on DVD and immediately open to 95%+ of people with home video. Meanwhile, if games here were stuck on the successors to their original consoles, the odds are that with most titles a majority of gamers would never be able to experience these classic titles. 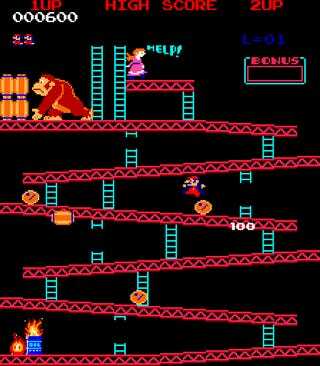 Gaming history should not be restricted by console alignment. This collection shouldn't be able to port an arcade, PC or Sega game to all consoles and then have to hold back for another contemporary. Someone will argue that companies are still making money off these games, and I agree. Continue re-releasing these games on Virtual Consoles, XBLA, PSN. Keep making HD collections. If you've ever bought a Criterion Collection DVD, you know that those things aren't cheap. They're meant to be the premier version of a film, packed to the brim with loads of things the average consumer doesn't really care about. I'm sure the same would apply here: some gamers would just want to buy/play the game, simple as that. Nothing would stop them. However, I do acknowledge how difficult of a proposition this would be, so I have a couple of possible compromises. 1) This "rule" doesn't apply if a game is less than a decade old. Or, barring that, 2) while it would be strongly encouraged to make a multi-platform port, the only other mandated port besides the original console's modern equivalent would be PC/Mac. Hopefully neither of those concessions would be necessary, but it's a strong possibility. The main game, in full. Special Features. This would likely include audio commentary, video interviews, original advertisements for the game/articles about it, reviews, a retrospective on its impact, and possibly even playable versions of things cut from the original game. Deleted scenes, if you will. A graphical upgrade/HD remake. This could be as simple as a re-skin or a full-on new game, just as long as it maintains the essence of the original title. And to emphasize: this upgrade would never take the place of the original game, only to complement it. And of course, for newer games this wouldn't be necessary. Of course, since such a committee/company doesn't yet exist, the actual job of choosing which games should make up the first few classes fell to little old me. I examined gaming history from a variety of angles: influence on design, success, artistic merit, fame, impact on the industry, and more before settling on the 25 games I thought most deserved the honor. For the purposes of variety, an executive decision was made to limit the first class to one game per series. We all know that some classic series could have multiple honorees but I thought it would be best to acknowledge as many different series as possible. Said rule continued through to the second class, though I plan on lifting it for this third class. Simply one of the earliest digital computer games and a pioneer for that reason alone. Spacewar, developed by MIT programmers in 1961-62, might not have been the first, but it had a direct effect on games of the next decade. The first coin-operated game, Galaxy Game - installed in 1971 at Stanford - was based on Spacewar. Nolan Bushnell and Ted Dabney's Computer Space, essentially the first mass-produced video game, was also modeled after the modest MIT title. After Computer Space, Bushnell and Dabney, along with programmer Allan Alcorn, essentially launched the modern video game industry with Pong, though they have some credit to give to Ralph Baer's Magnavox Odyssey. But the impact was undeniable. Atari sold thousands of the machines and inspired numerous knockoffs that pulled the manufacturing companies into gaming. Nintendo's first leaps into home gaming? Pong clones. 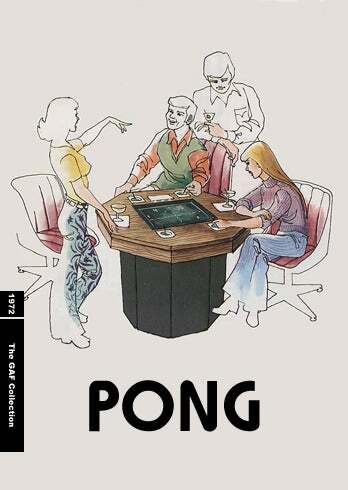 Konami, after witnessing the success of Pong, jumped into the fray themselves. And still, over forty years later, those little white paddles are some of the most recognizable "characters" in video gaming history. Spacewar's effect reached games like Asteroids, one of the most popular and enduring arcade titles of the 1970s. It's been ported incessantly and helped further grow the shooter and space genres while providing a freedom of movement that still impresses. Also, it managed to outsell Pong...no small feat. It invented a genre. It inspired an animated television series and a hit song. It had made more than $1 billion - in quarters - by the end of its first year, out-grossing recent release Star Wars. It is part of two famed art collections, including the Smithsonian. It featured gaming's first real "mascot". The creators of pioneering games as varied as Metal Gear Solid, Grand Theft Auto and Wolfenstein 3D have all cited this game as an inspiration. And it's been ported to essentially every electronic device known to man. You could even play it in Google. It might or might not be the most interesting video game in the world. But it is...Pac-Man. Finally, before getting to the main honorees, I'd like to briefly list the honorable mention games that barely missed this first class. While all deserve this honor in the future - and some of them indeed do make the second or third class - they just missed the boat this time. I don't have other games from series who did get a representative to qualify listed here; you can figure that out based on which ones did make the first class, though it'll obviously take a while. Don't worry until the full class has been revealed, your favorite game might still make it. Adventure, Ape Escape, Devil May Cry, Diablo, Donkey Kong Country, Earthbound, Fallout, Guitar Hero, Gunstar Heroes, Halo, Herzog Zwei, Katamari Damacy, Killer 7, Kingdom Hearts, Myst, Panzer Dragoon, Perfect Dark, Quake, Resident Evil 2, Shadow of the Colossus, Sid Meier's Alpha Centauri, Sim City, The Sims, Starfox 64, Warcraft, Wolfenstein 3D and Zone of the Enders. I'm sure I missed some games, I'm sure you'll have some disagreements, and I want to hear them all. I'll be posting, ideally, a game a day in random order over the course of the next few weeks, taking you through my initial 2009 class, the 2011 second class, and 2013's new inductees. If this was happening in real life, I would envision the Agency Group releases coming one-per-month, with one month having two releases, with the announcement of a new class coming every two years to coincide with the final release of the previous class. Also, one final note: just to keep myself sane, I decided to leave the lists largely unaltered from their 2009 and 2011 iterations - with a few exceptions - instead of trying to include any newer games or reinvent the wheel. Any ones deserving of qualification will appear in the Class of 2013. I did shift a few games around, though, for reasons that will be explained once their number gets called. So, over the next few weeks, I'll be presenting gaming's Criterion Collection: The Agency Group. Hope you enjoy.